It is a common misconception among the general public that once something is deleted from a phone, tablet or even a computer, it is gone for good. While computers can make it exceedingly difficult, Precise Investigation employs a number of practices, pieces of software and technical skills to recover deleted, lost or damaged information with relative ease. While phone and mobile technologies have advanced drastically over the last few years, so too have the tools that can infiltrate their memory banks. Precise Investigation and our team of private investigators have worked hard to ensure that our services meet the highest in both national and international standards, thereby minimising the likelihood of irreversible damage to the handsets in question and affording us the means to extract data with minimal complications. Whether you’ve accidentally deleted something important from you phone, you’re worried about your partner keeping secrets on your home computer or you’ve lost thousands of memorable photographs, amongst a number of other circumstances, there are plenty of reasons to run professional data recovery services. Did you know that our phone data recovery services can also identify any hidden apps, incoming security breaches and bugs that your device might have? Our private investigators boast unparalleled levels of experience and expertise across all leading brands, including Apple’s iPhones, iPads and iPods and the best selling Android manufacturers such as Samsung, Sony and LG. As an integral protocol within any reputable private investigation firm, Precise Investigation maintains the highest levels of confidence and discretion across all of our services, particularly those regarding situations where sensitive or otherwise private information is made available. Furthermore, through continuously advancing our technologies in line with that of the current market, our investigators are able to ensure that our recovery services are amongst the most effective of any investigation or data recovery company in Australia. As such, our private detectives are fully equipped to handle even the most complex of phone data or computer storage recovery situations, and go on to compile all findings in an accurate, clear and easy-to-consume report for our clients to review. Our aim is to give you unrestricted access to the pieces of information that matter most to you, regardless of how they were deleted, damaged or lost. For more information, we strongly recommend that you get in touch with one of our trusted private investigators today so that you can ask any questions and gain a better understanding of how to approach your particular data recovery scenario. Due to restrictions in Australian Law and both national and international Human Rights legislations, no private investigator, investigation agency or data recovery specialist is allowed to acquire any electronic device or personal asset on your behalf. It is up to you, as the client, to provide us with the handset or device. Any investigator advertising that they can do that for you, should be reported to the Police or the Australian Law Reform Commission. Following our findings, Precise Investigation will type up a detailed report, quoting the information we found, along with coupling each piece of data we recovered with the time and date that it was originally saved and deleted or otherwise corrupted. You can also choose to have backups of that data stored on an external hard-drive or USB key for personal use. 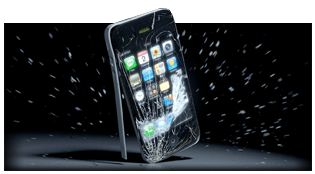 This, in turn, affords our clients with some of the most accurate, timely and cost-effective phone and media data recovery services that Australia has to offer. Click here to book an appointment today or give us a call on 1300 856 011. Precise Investigation has offices across every major state in Australia, giving clients in Melbourne, Sydney, Perth, Adelaide, Brisbane and Hobart unrivalled access to some of the country’s finest investigative minds. If you’re further afield and you need assistance, simply get in touch with us and we can arrange to have one of our trusted private investigators visit you at home or at a location that suits you. For more detailed contact information for each of our offices, including telephone numbers and addresses, please click here to visit our locations page. In dealing with numerous data recovery cases each month, our clients have quickly come to appreciate the importance and genuine usefulness in cloud storage and data back-up solutions. These aren’t products or services that we offer, but we thought to share a few with you that we think are pretty good… and free (or at least the most basic packages are free). Arguably one of Google’s most useful add-ons and available for free to anyone across the globe. You’ll start out with 15GB storage, then quickly be upgraded to 5GB storage space for free, where you can then share, download, organise and maintain a fair amount of work. If you want more than 5GB though, you’ll need a few extra bucks. For those who want faster, offline access to their stored files, you’ve got your portable hard-drives. Long-gone are the days where you’d need an additional power cord to serve your Terrabyte drives, instead the new generation 3 USB supplies all the power necessary and allows for some of the fastest file transfers to date. Disclaimer: Precise Investigation is not affiliated with Verbatim or Google in any way and the recommendations listed above come solely from having used these products or services and hoping to share our experience with our readers.